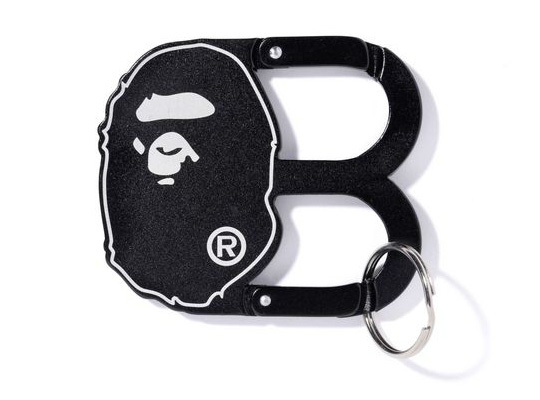 Bape is a company known for creating/putting their mark on almost anything, from ashtrays to playing cards, so it’s no surprise that they’ve put their stamp on a carabiner. Available in a variety of colorways, we have to say this ‘Ape Head B’ design is pretty cool. Available now at Bape stores. Wow… These are pretty cool!! !